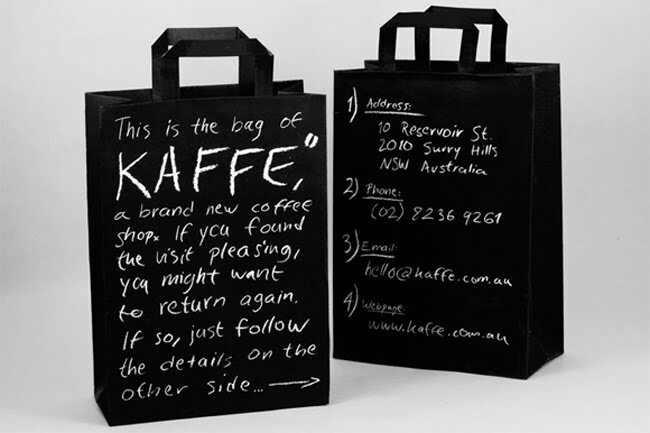 "Kaffe is a coffee shop started by 4 swedes. 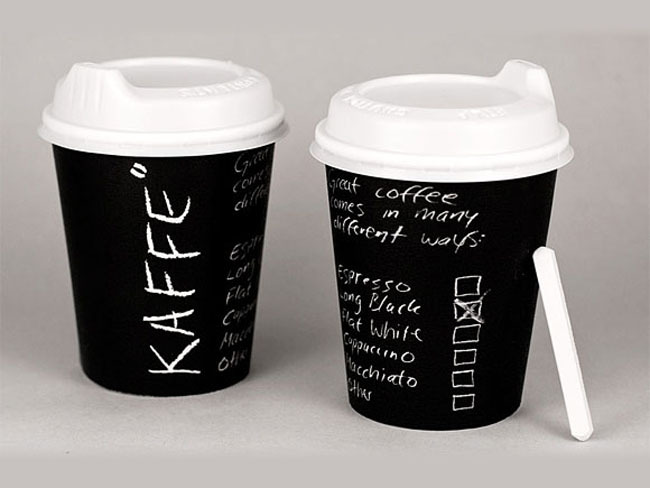 The handwritten charcoal aesthetic derives from the personal connection every person has with their type of coffee. 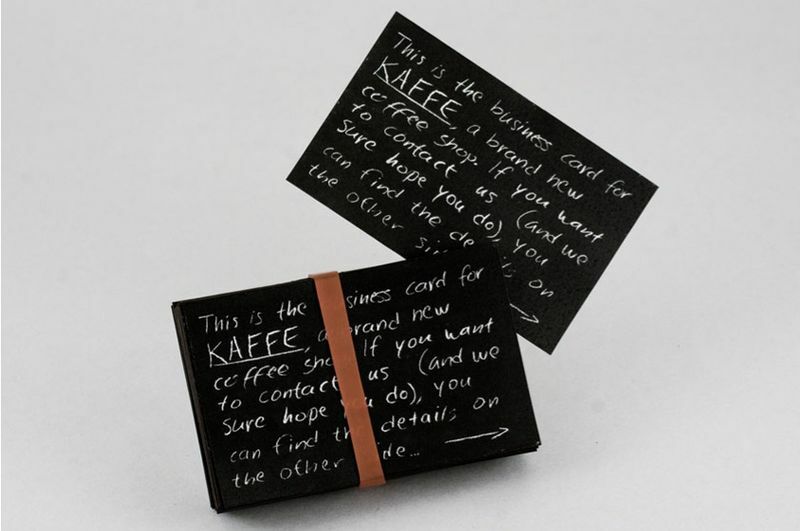 This is reflected in a direct style of communication with business cards, bags, take away cups etc. personally addressing the customer."